after a deletion of Openhab2 Hue emulation in PaperUI it has gone forever. How can I reinstall the binding? Running 2.3.0 openhabian Image on raspberry pi 3b. Hue binding was installed via paper ui. In Former openhab version and also in this version there was also a binding called openhabHueEmulation. These two have been installed at the same time. I think openhabHueEmulation is installed automatically. The Hue Binding still exists in paperui, openhabHueEmulation not. I only deleted a hue light in paperui and the binding was gone. Is it needed? Ecerything works quite okay, exept an osram lightify thing (garden Spot) which is installed via Hue Bridge. Did you check in MISC not BINDINGS in PaperUI? If I understand it correctly you have the Hue binding installed and are having all the functionality that you need. So, all is well I assume. this emulation is used to make the whole HO2 system look like a Hue bridge; in most cases, this is done to integrate OH2 with Google Home, Alexa or similar. your missing configuration for the Osram bulb is not connected to the issue here. My install however was not done on a PI, it was done in an LXD container on Ubuntu using the apt-get reporitories. uninstall and reinstall the Addon, restart the openhab process multiple times, enable debug logging. My OH instance is on default Port 8080. i can’t use 80 (at least i dont know how ) because there is an apache web server already running on that port. The oh 2.5 snapshots are not stable, probably until end of February. The core has been restructured. Oh 2.5m1 should work, that’s what I’m using in production. Oh 2.5m1 should work, that’s what I’m using in production. Hey @David_Graeff! Thanks for the Quick response! ok, i will try the stable for now and hopefully not report back lol. Hi @David_Graeff, should hue emulation work with the unstable 2.5 branch at the moment? No idea. It should, I haven’t changed anything. But it’s still using the old buildsystem with no real dependency system in place and I can imagine that the http servlet can’t be resolved anymore. I’m using an extended version of the hue emulation that is already migrated to the new buildsystem with scene, schedule and rule support which I’m going to publish sometime this week. There is an open pull request to follow the progress. I have the same problem in 2.5. Hueemulation is in installed status in paperui, but I get no logs in openhab.log (i.e Hueemulation started available at /api). 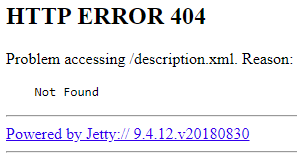 descriptions.xml results in a 404. Please wait for the new hue emulation version to be available. The problem is that openHAB core recently renamed “org.eclipse.smarthome” packages to “org.openhab”. And now the hue emulation service waits for a signal that will never be emitted. I’m not going to accept intermediate fixes atm though as they would cause merge conflicts with the new version that is in the review process. At the same time it is not yet clear how to merge it, as it is 8000 lines of code and cannot be easily reviewed by other maintainers. A solution will be found, it just takes a bit of time. Remember: Snapshots are not guaranteed to work and openHab core as well as openHab addon maintainers may break the build temporarly if necessary.